The teaching faculty is the College's greatest resource. Accordingly, three outstanding educators from the accredited B.F.A./M.F.A. 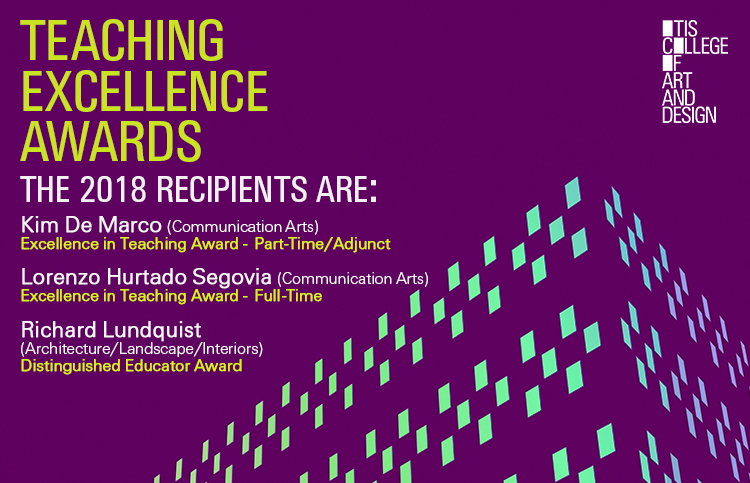 programs are recognized each year for their commitment to Otis, their clear, effective teaching, and their ability to respond to a diverse student body. More information here. The Faculty Development Committee of the Academic Assembly is comprised of representatives from each department. It usually meets monthly and makes recommendations on sabbaticals and grants. Minutes are kept in the Academic Assembly group on O-Space. OPTIONAL: Sign up with your Otis College e-mail address for newsletters and job alerts.